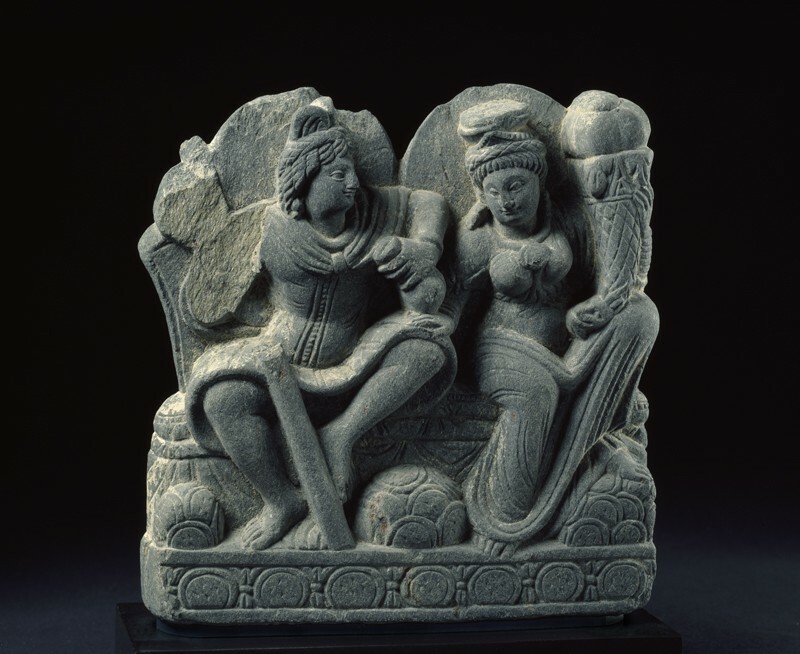 In this attractive sculpture, Pāncika and Hārītī are seated together in a pose probably imitative of Roman tutelary couples. 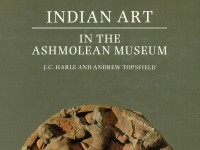 They are, in fact, Indian folk gods, he now dressed in a Kusāna tunic but with a Greek style cloak thrown over his shoulders, while Hārītī’s dress is certainly non-Indian. Her crown in particular suggests a western origin. The cornucopia, with an animal’s head at the base suggesting a rhyton [see EA1963.28], is quite non-Indian. Her crown in particular suggests a western origin. In fact, to pious Buddhists and caste Hindus alike, animal horn would have been anathema but they probably had no idea of the origin of the horn of plenty. Pāñcika (sometimes conflated with Kubera) is associated with wealth. He holds a purse (part of his staff is missing) and coins piled up below the throne. Hārītī, who is worshipped for the protection of children [see EA1971.36] is here depicted as a goddess of plenty. 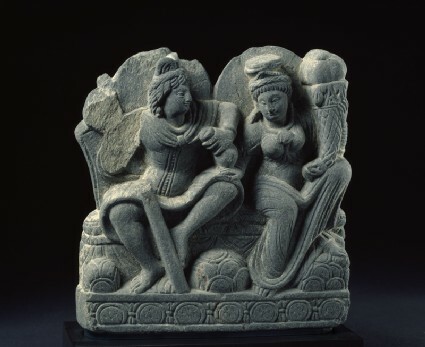 Seated like a Roman tutelary couple, the Indian wealth deity Panchika holds a purse and staff (now broken), while his consort Hariti holds a cornucopia. The latter feature suggests that this pair of protective deities may otherwise be Kubera and Ardochsho, Indian and Iranian deities of prosperity. Presented by Major P. C. Hailey, 1962.